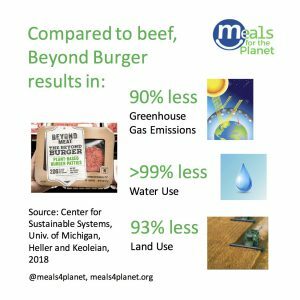 A new study by Heller and Keoleian from the University of Michigan Center for Sustainable Systems has documented the dramatically reduced environmental impact of Beyond Meat’s Beyond Burger compared to that of beef patties. The Beyond Burger has similar calories and protein to a beef burger, so it makes sense to compare them patty to patty. The authors found that one Beyond Burger patty has a carbon footprint of 400 g CO2-eq, while the same sized beef patty has a footprint of 3,700 g CO2-eq. Looking across four different impact categories, the Beyond Burger has 90% fewer greenhouse gas emissions, 46% less energy use, greater than 99% reduction in water footprint, and 93% less land use. 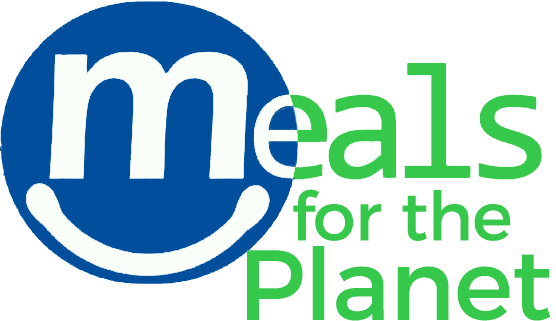 In addition to the environmental benefits, there are some notable nutritional plusses. The Beyond Burger has no cholesterol, less saturated fat, and more iron than a beef burger. And of course, no cows are harmed in the making of the burger. 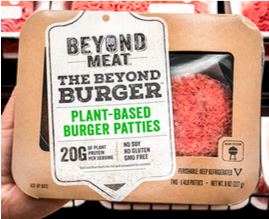 The difference between the beef and Beyond Burger patties is 3,300 grams of CO2 equivalents, which is 90% of the each person in the U.S.’s daily contribution to the Paris Climate Accord! To learn more about how we can each help meet the Paris Climate Accord targets, see the articles Taking Climate Into your Own Hands and Low Hanging Fruit for a Low Carbon Life. Table 1. Comparison of environmental impacts between Beyond Burger and beef patties. Data from Heller and Keoleian, 2018, Center for Sustainable Systems, University of Michigan. Source: Heller and Keoleian (2018) Beyond Meat’s Beyond Burger Life Cycle Assessment: A detailed comparison between a plant-based and an animal-based protein source. Full report is available at the Center for Sustainable Systems, University of Michigan: here.